George Custer was born on December 5th, 1839, in, Ohio. He joined the US cavalry and was to become one of the best-known men in America. He was widely seen as a national hero by some and also a national disgrace. George Armstrong Custer rose to fame in the American Civil War. However, he won everlasting fame some ten years later because of his catastrophic defeat at the battle of Little Big Horn. Ironically, it was his defeat that made him secure the everlasting fame that this most ambitious of men sought all through his colorful life and career. 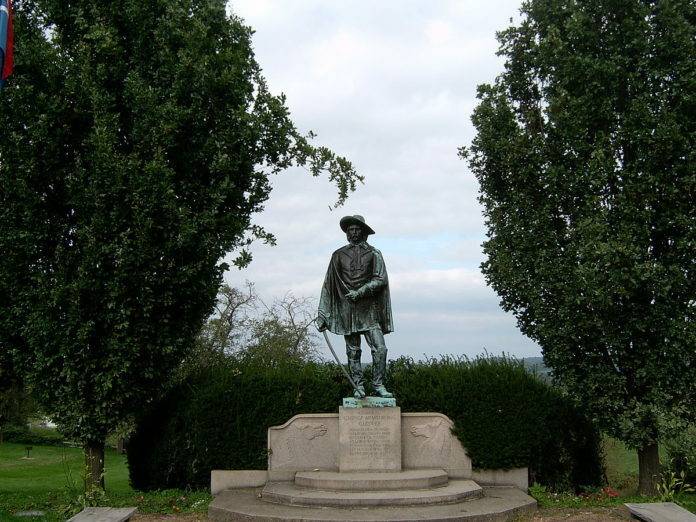 Many believe that the General was personally responsible for the defeat at the Battle that caused his death. He was a daring man and a brilliant leader of men. He had proved himself to be one of the finest cavalry officers of the American Civil War. Indeed, he was an almost mythical figure in the Union army. However, he was also a poor strategist and his need for glory and recognition clouded his judgment. These qualities meant that he was responsible for the defeat at the Battle of the Little Big Horn and his own death. The Battle of the Big Hero was the best-known defeat inflicted by the Native American tribes upon the American army for almost a century. 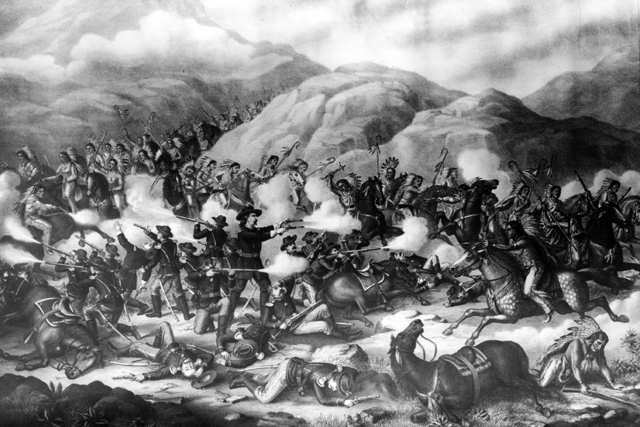 A complete force of 200 experienced cavalrymen was killed by the Native Americans. 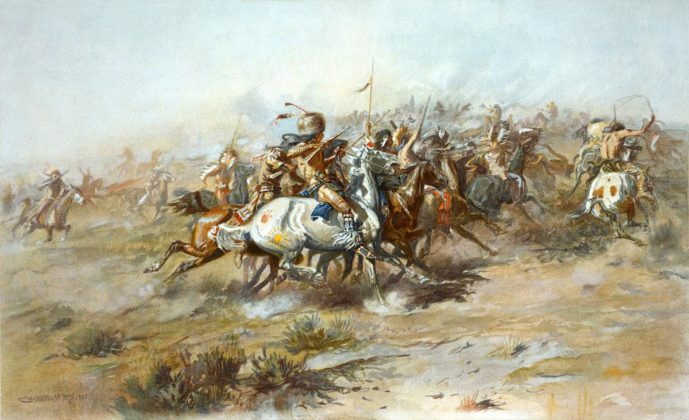 The force under Custer was annihilated by the Lakota Sioux and their allies the Cheyenne. 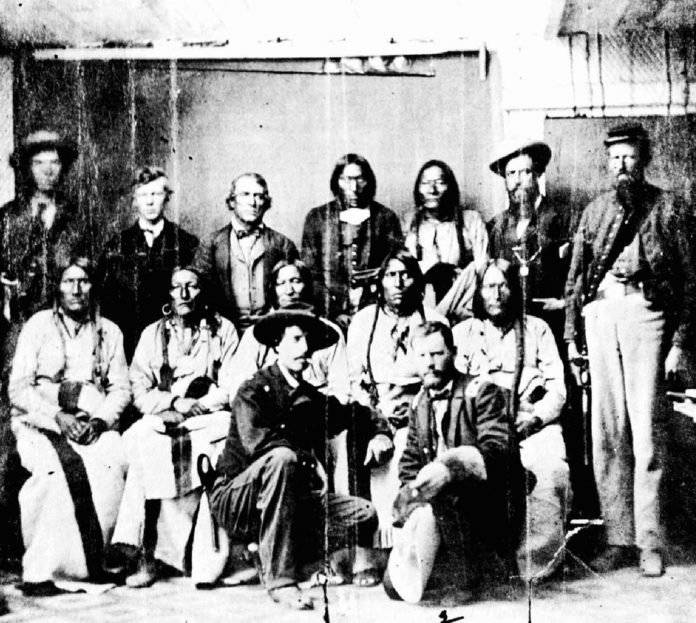 Among the unit of some 200 men that were killed by the Lakota Sioux and Cheyenne on a hot day in June 25, 1876, were some members of Custer’s family. 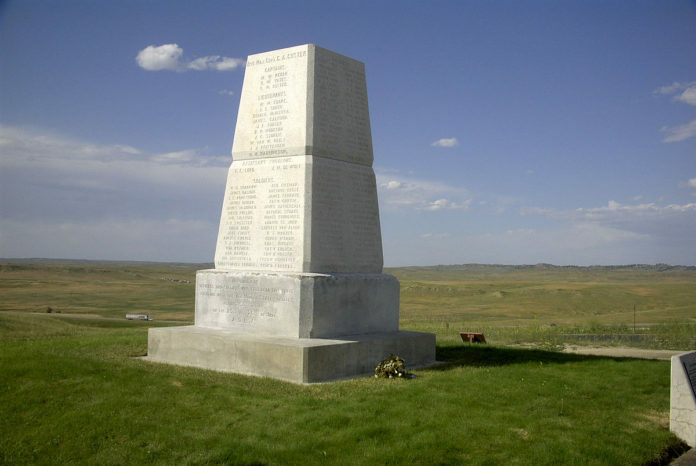 In total four members of the extended Custer family was to die in the battle. These included his eighteen-year-old nephew, the son of his sister, Henry Reed. His brother-in-law was also killed. During the battle his two younger brothers, were also killed. One of them Thomas had won the medal of honor twice in the American Civil War. Custer was probably of German origin. His name was originally Kuster and it originated in the Palatine in Germany. The Palatines had fled Germany because of constant war in the early eighteenth century and they had been aided by the English to settle in England, Ireland and America. The family anglicized the name to Custer sometime in the eighteen century. George was named after his family’s pastor who was also a close family friend. George’s mother had hoped that he would one day follow his name-sake into the church. Even though Custer attended the most famous military academy in America, WestPoint, he was not a brilliant student. Custer was always a man of action and he was not academically inclined. He wanted to be in the thick of things rather than simply studying and taking exams. His love of action and adventure drew him to the military. George’s thirst for adventure meant that he did badly in his exams and was regularly in trouble with his instructors. He did not care and soon was known by his fellow classmates as the daredevil. He was constantly in trouble and he was censured several times and earned many demerits. When it came time for him to graduate Custer finished last and he earned the unfortunate title of the ‘goat’. The goat was the graduate who finished last at the military academy. He may not have been a brilliant scholar but he was a brilliant soldier and a natural leader of men. Custer’s bravery was legendary and by his example, he inspired his men to undertake reckless missions, especially Calvary charges. Custer joined the Army of the Potomac and he won plaudits for his cavalry charges. He also showed great skill when it came to battlefield tactics. Such was his bravery and leadership that he was rapidly promoted and he soon became a colonel. Custer was promoted to the rank of brigadier general at the age of twenty-three. He was called in the papers the ‘Boy General’. He cemented his reputation for bravery at the Battle of Gettysburg when he led his men on a counter charge that repelled a larger Confederate cavalry force. Amazingly Custer was to serve throughout the Civil War. He fought at the first major enjoyment of the war, that was the Battle of Bull Run. 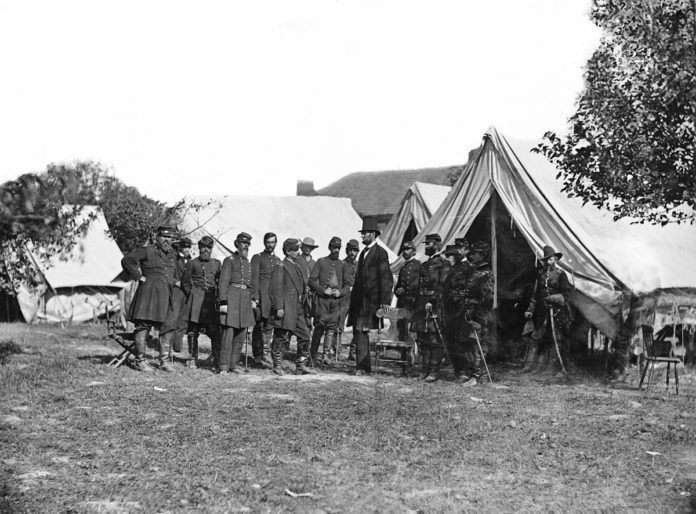 Custer was also present at the surrender of Lee at Appomattox which effectively ended the American Civil War. Indeed, Custer played a big part in the defeat of Lee, as it was his cavalry that cut off the Confederate’s line of retreat. The surrender of Lee to Grant was signed at a table in one of the rooms of the Appomattox courthouse. Lee left the courthouse and so did Grant and none thought of the table where the historic document was signed. The table upon which the capitulation of the South to the Union eventually became the property of Custer’s wife. Originally Sheridan, one the Union’s greatest generals, obtained the table. However, he decided to give it as a gift to his brilliant young subordinate, in recognition of his services, during the war. Custer’s wife was given the table. She lived until 1933 and when she died she willed it to the Smithsonian Institution. It is still held by the institution and it is one of its most prized assets and exhibits. Custer was very vain. He was personally brave and was a daredevil and was widely respect by friend and foe. Like many other Cavalry officers’, he liked to appear dashing and handsome. The Cavalry were perceived to be the most glamorous part of the military and the individual cavalry officers believed that they had to appear dashing and well-dressed. However, Custer was even by the standards of the time was vain. He was very conscious of his appearance and he made sure that his blonde and wavy hair was his trademark. Custer made sure that his hair was well-kept and cut and it is commonly believed that he had his hair scented. Many regard Custer as deliberately cultivating a public image in a bid to win fame and popularity. Many have seen Custer as simply vain and shallow. However, many believe that Custer sought to have a positive public image in order to further his career in the military. Moreover, he was keen to have the public on his side, in order to possibly win support for a future career in politics. The image of Custer was very well-known during and after the Civil War. Custer was a rebel and could not tolerate discipline for long. He was twice court-martialed and these nearly ended his military career. Indeed, his first court-martial nearly ended his career before it begun. 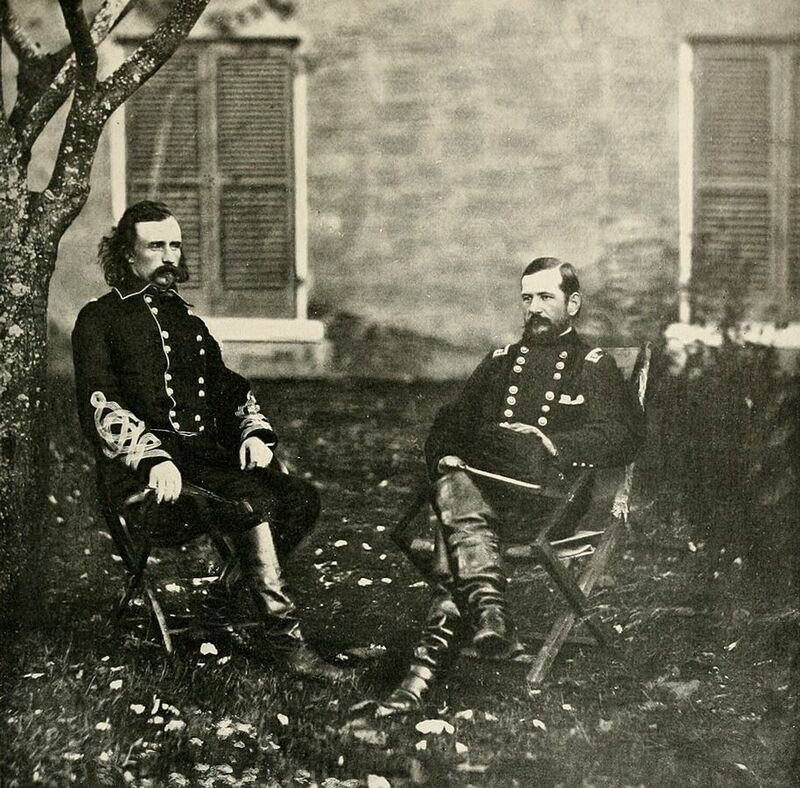 As a cadet in WestPoint, Custer was court-martialed because he did not stop a fight between two cadets when he was an officer of the guard, but he managed to talk his way out if this. Much more serious was an incident in 1867, at the time Custer was stationed at a fort in Kansas. However, his wife Libbie was many miles away and the young general became lonesome for his wife. Without orders or permission Custer left his post and handed over command of his regiment to another. All of this was contrary to orders. When the military discovered this- he was court-martialed and was found guilty of eight counts of misconduct including the serious charge of neglect of duty. This was a crisis in his career and he was effectively suspended from his command without pay. Sheridan had him reinstated because he knew that Custer was a fighter and that was needed in the battles with the Indians of the Plains. One of the great ironies of Custer’s career that he continued to be famous and even revered in America. This was partly because of his wife. She wrote many books about her late husband and gave many interviews about his life and achievements. Libbie became a celebrity in her own way and she never remarried even though she was considered a great beauty. She was a widow for 56 years. Perhaps the greatest proponent of the myth of George Custer was Buffalo Bill. He was a great impresario and he staged for many years the Wild West Show. These were live performances in which often real cowboys and Indians recreated famous scenes from the Wild West. One of the most popular of these was the Battle of the Little Big Horn. 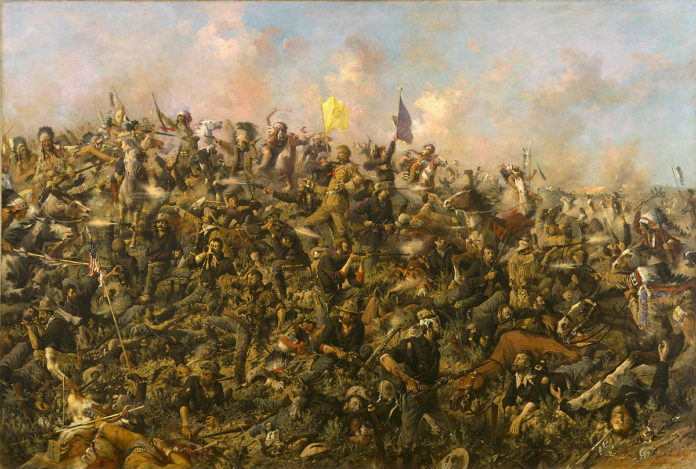 In Buffalo Bill’s recreation of the Battle, Custer is shown as dying bravely and as a hero. In fact, Custer was widely blamed for the defeat. However, Libbie and Buffalo Bill helped to keep the name of Custer alive. Custer was thought to have a lived a charmed life. He was considered lucky by his own superiors and subordinated. This only made him more popular in the army and in the country at large. This can be seen in the way that he managed to escape two court martials with little consequences for his career. Part of the reason why Custer was lucky was that he was so charismatic and this allowed him to get away with a lot of things. He seemed to have believed that he was almost protected by a higher power and that he was destined for better things. 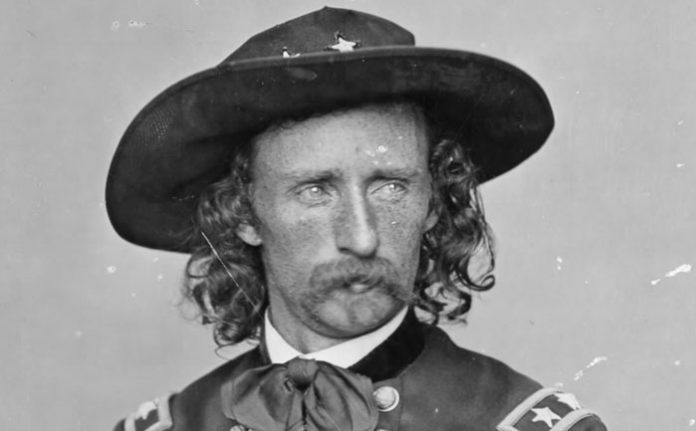 During the Civil War, Custer was very lucky not to have been killed or seriously wounded in spite of his daring command and having eleven horses killed under him. There was even a phrase common in the army about ‘Custer’s luck’. It seemed that Custer’s luck would never run out and that he would continue with a charmed life. Many expected that his luck would bring him to the very top of the establishment in America and that he would one day even be a President. However, his luck finally ran out at the Little Big Horn. His charmed life had made him overconfident and he did not listen to his subordinates who advised him not to risk his forces. Custer in his overconfidence probably led his men to their doom. There are many different accounts of the death of Custer. 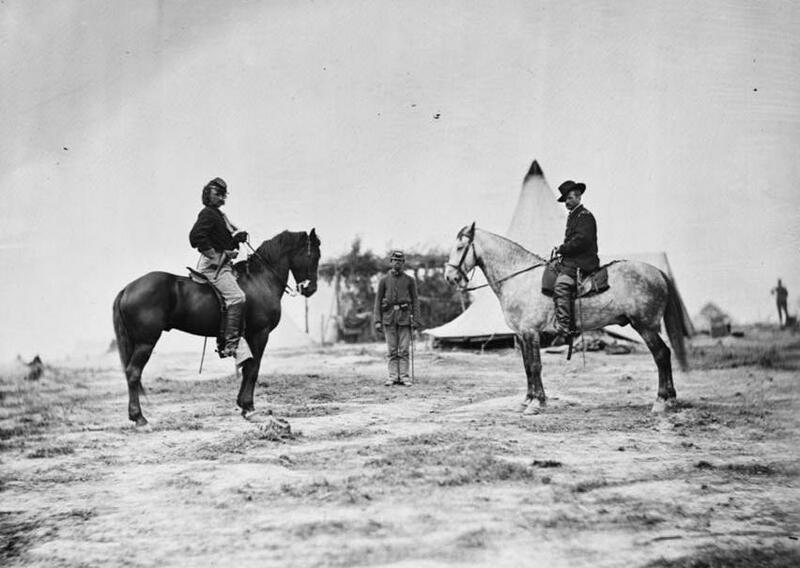 One of the most striking is the Cheyenne claim was that the great general and hero of the American public was actually killed by a Cheyenne female warrior. In June 2005, the Northern Cheyenne broke a century of silence about the death of Custard. 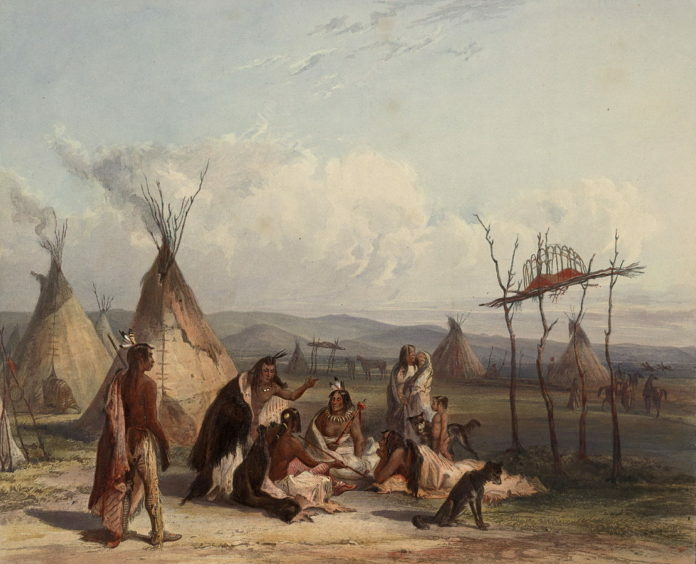 Storytellers said that according to their tradition, Buffalo Calf Road Woman, a Northern Cheyenne heroine , struck the mortal blow against Custer. According to tradition, she was the one who knocked him off his horse. She then ran up to the prone Custer and killed him. This story seems unlikely, because a soldier who inspected his body, stated that Custer had been killed by two shots most likely from a rifle that had been fired from a distance. The shots had hit him in the temple and in the heart and it seems that his death was quick. What is known is that Custer was found dead on the battlefield. His body had not been mutilated and some have speculated that this was out of respect for him by the Cheyenne. Following the recovery of Custer’s body and that of his brother Tom, they were both buried side by side in a shallow grave. One year later, Custer’s body and many of his officers were recovered and sent back east for a proper burial. Custer was re-buried again with full military honors at West Point. Many of the ordinary soldiers remained buried at the battle site. It has since been listed as a National Cemetery by the American government. Next → Next post: The first black unit fighting in the Civil War: The Commander said they were the best soldiers in every respect.